A revolution in music production ignited when machines began to produce viable sounds. Initially primitive and strange, only early adopters understood how rhythm and beat machines could change the musical landscape. Now we recognize the power of the sampler, the drum machine and the sequencer to sculpt any found sound into a modern symphony. What are the origins of these revolutionary devices? In 1913, as the clamor of industrialization spread into the far reaches of pastoral society, an Italian painter named Luigi Russolo penned a letter to his friend, the composer Francesco Balilla Pratella. In “L’arte dei Rumori” or the “The Art of Noise,” the letter turned futurist music manifesto, Russolo foresaw the possibilities of sonic manipulation. Before most people had electricity, Russolo envisioned the modern day producer crafting unique soundscapes from disparate noises. Russolo sensed the birth of Musique Concrète thirty years before Halim El-Dabh, Pierre Schaeffer, and Karlheinz Stockhausen conducted their magnetic wire field recordings and tape looping experiments. He foresaw the possibility of manipulating noise almost two decades before Fritz Pfleumer even invented magnetic tape. Magnetism was of special interest to Lev Sergeyevich Termen (a.k.a. Leon Theremin). Borne of his Soviet sponsored research into proximity sensors at the end of the Russian Revolution, the theremin (or etherphone) was the first instrument played not by touching, but by interaction with the player’s magnetic field. The theremin became a global phenomenon, thanks in large part to Clara Rockmore’s interpretations of classic music. It gained a second life as the definitive Sci-Fi soundtrack production tool, and a third renaissance among electronic music producers looking to add unique sounds to their compositions. 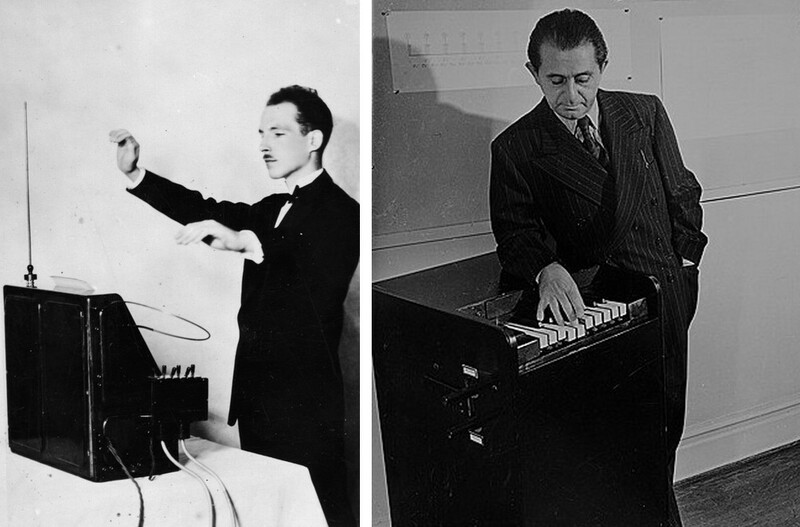 Following the success of his eponymous device, Theremin collaborated with composer Henry Cowell in 1931 to create the world’s first drum machine—the Rhythmicon. It was first introduced to the public in January of the following year, by Cowell and music scholar Joseph Schillinger. In essence, the Rhythmicon employed a basic form of optics, creating polyrhythms by shining a light through a series of metal disks with a hole punched out. Their technology could affect tempo and pitch, producing up to sixteen rhythms manipulated using an arithmetic progression. Only three Rhythmicons were ever made, and some say that none of them ever really worked. The last remaining Rhythmicon is in the hands of the Smithsonian. Of the early rhythm machines that did work, most were used to provide simple accompaniment to musicians—until Sly Stone and J.J. Cale got a hold of them. Stone brought the drum machine from a background tool for lounge acts to the backbone of an album that debuted at #1 on the Billboard Pop chart, creating layered lo-fi funk on There’s a Riot Goin’ On. He composed entire songs in isolation, overdubbing the Maestro Rhythm King unit with his own drum kit work, calling in one session player at a time to add parts piecemeal. 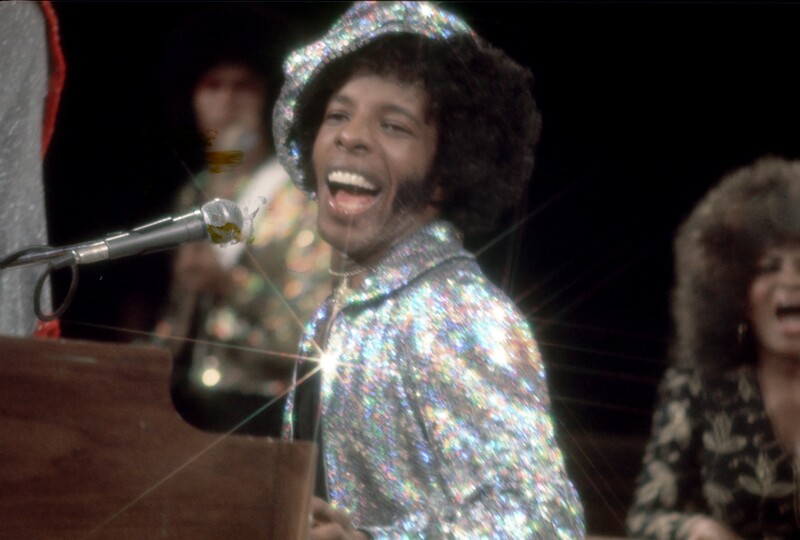 Sly Stone was the world’s first bedroom producer. Around the same time as Sly Stone’s experiments in his bedroom studio, J.J. Cale was looking for a tool to allow him to focus more on the craft of songwriting, and less on finding a competent drummer. Where Stone used overdubs to augment the rhythms of his machine, Cale often let the preset rhythm sit in the song’s background untouched. The canned grooves of the Ace Tone Rhythm Ace, Cale’s drum machine of choice, are easily discernible on his 1972 album Naturally. Stone and Cale, two very distinct artists making wildly different music while using two different machines, both influenced generations of musicians and producers that would follow. There’s a Riot Goin’ On represented a new style of transmission through the ether, with Sly’s solo sonic experiments (motivated in part by his inability to get along with the rest of the Family Stone) melding static machine sounds with man-made, soulful drum licks. Cale insists that at the time Naturally came out, most listeners did not realize that they were hearing a drum machine. 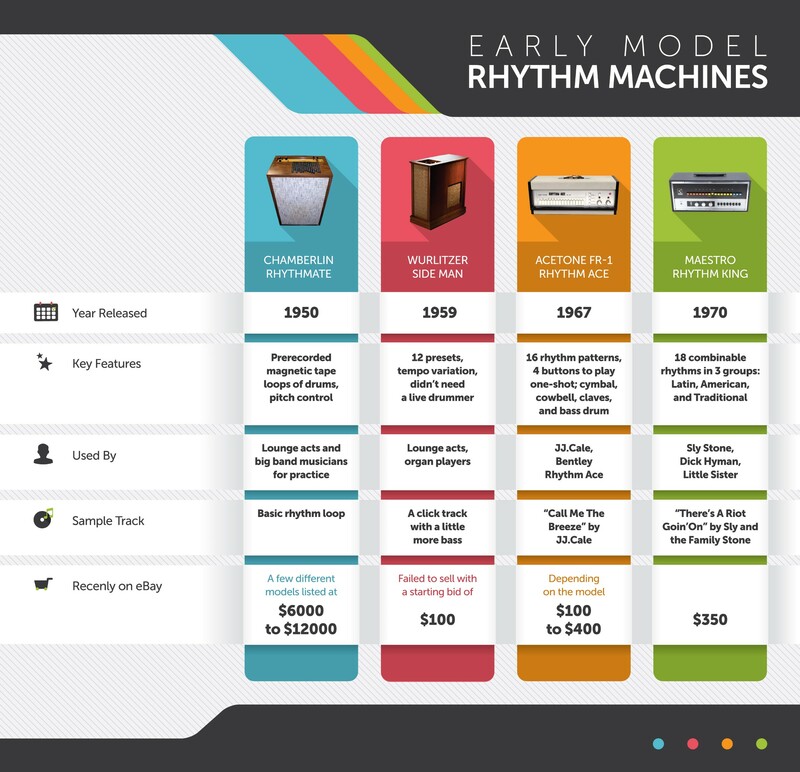 The chart below compares the earliest rhythm machines, including the models that Stone and Cale put to use so effectively. Like the Apple Newton, the Roland TR-808 was a brilliant flop, way ahead of its time when it debuted in 1980. Some say the initial commercial failure of the 808 was one of the main reasons for its ultimate success—that the machine ended up at bargain prices in second-hand stores contributed to its adoption. Within a few years, the 808 would provide essential sounds that defined electronically-produced music. When you hear an 808 for the first time, you know that you are hearing something unique—a Ferrari in a world of Fords. The 808 kick drum is still used in songs today because of the uniquely powerful bass hit. Unlike most other drum machines and production tools from the previous century, the 808 (or software cloning of its signature sounds) still holds a place in modern music production. “Planet Rock” by Afrika Bambaataa & The Soul Sonic Force is the definitive 808 track. The record brought cultures together through technology, sampling the melody of Kraftwerk’s “Trans Europa Express” and fusing electro with rap, creating an anthem for the ages. 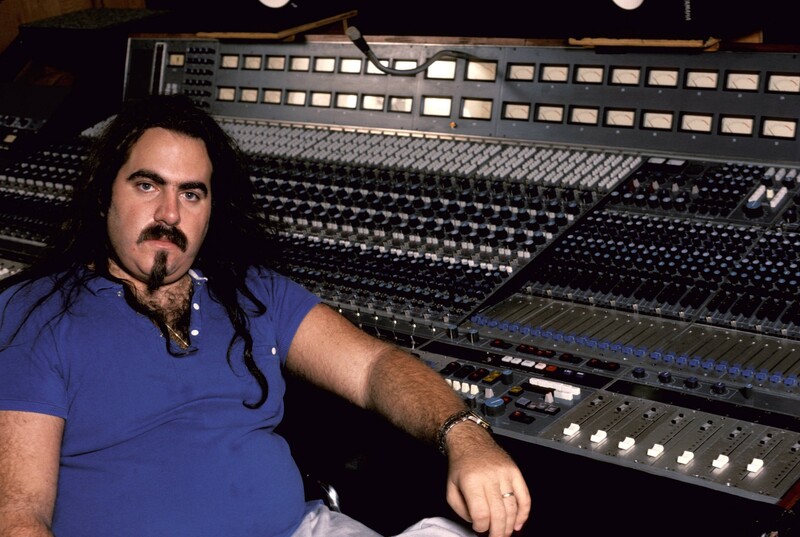 Ironically, the men who made the definitive 808 track didn’t have an 808 in the studio. When producer Arthur Baker and Afrika Bambaataa were working on “Planet Rock,” they heard the 808 on another track and knew they needed that sound. They came across an ad in The Village Voice where a man named Joe was offering to rent out his 808 at $30 an hour, and the rest is music history. Without this average Joe and his need to make a few extra bucks with his new technology, the world may not have heard one of electronic music’s most important songs. With a few exceptions, the sounds produced by the early drum machines were initially dismissed by music purists because they didn’t sound natural. They were too harsh and robotic, nothing like a real drummer. Using synthesis to create approximations of a drum sound gave the 808 a unique character, initially foreign, but eventually beloved. A dog doesn’t meow, a car doesn’t neigh, and an 808 doesn’t sound like John Bonham. 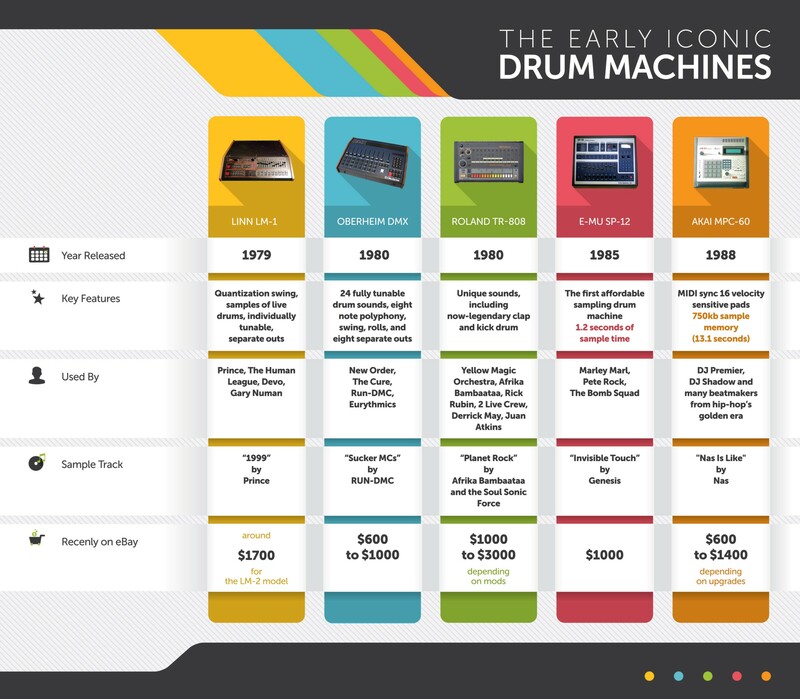 The list below provides a glimpse at some of the iconic drum machines intended as production tools rather than just accompaniment. This is not a complete list, but an overview of the early milestones in the technology revolution that enabled modern music production. Do enough research on drum machines and samplers, and one term keeps coming up: swing. Many of the greatest producers from the golden era of hip-hop talk about how the MPC’s “swing” set it apart from the competition, making the MPC the go-to production tool for over a decade following its birth in 1988. Swing, in drum machine speak, refers to the ability for the unit to offer slight variations on the drum programming to give the resulting beat a more nuanced, human feel. Swing is programmed variance. 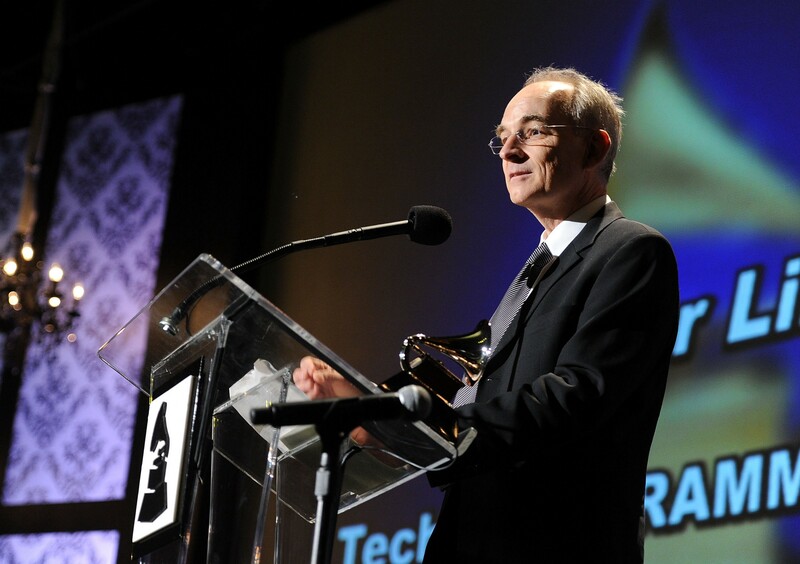 Roger Linn, designer of the MPC, the Linn Drum, and the LM-1, invented swing and quantize by accident, following a realization that the beats fit perfectly into allocated memory spaces. Linn thought it was a bug at first. Quantization was made possible by Linn being forced to work within the available programmable memory when building the prototype. Adding the option for variation on the 16th notes gave the world swing. While necessity may be the mother of invention, perhaps limitation is its father. In addition to inventing swing, quantize, and the first production drum machine to use samples of real drum sounds, the LM-1, Roger Linn was a key figure at the meeting on the development of the MIDI standard. MIDI, or Musical Instrument Digital Interface, allows audio devices to talk to one another. MIDI was a game changer for producers, engineers, and the music industry as a whole. Devices enabled with MIDI can communicate, control, and interact with one another (and computers) regardless of the manufacturer. In 1981, Dave Smith, with input from others at his company, Sequential Circuits, first developed a synthesizer communication system. Soon after, engineers from companies throughout the music industry worked together to refine Smith’s cross-instrument communication platform. By the January 1983 Winter NAMM Show, Smith demonstrated MIDI to the world, unveiling the Rosetta Stone of electronic music. Once MIDI-enabled gear became widely available and understood, the sampler and the drum machine merged. Moore’s Law took hold, and technology that could once only be found in expensive gear like the Fairlight CMI, made its way into the hands of young producers like the Wu-Tang Clan’s RZA through his beloved Ensoniq ASR-10, for a fraction of the cost. The SP-12 evolved into the SP-1200, and a golden age of hip-hop emerged as producers like Pete Rock, Prince Paul, and DJ Premier were no longer limited to one bar of sample time. Today, the democratization of music technology continues as production hardware is replaced by DAW (Digital Audio Workstation) software and MIDI controllers. Gone are the days of counting sample time in seconds, now an entire terabyte hard drive can be a sample library. Most DAWs come preloaded with the manufacturers’ approximation of the sounds of the classic drum machines and synths. ProTools, Ableton Live, Reason, Logic, Fruity Loops, and any other number of programs are available to the next Deadmau5 in waiting as fast as their computer can download the install files. Hard synth manufacturing continues by Roland, Dave Smith Instruments, Moog and others. However, if you attend a live performance by your favorite producer, you are more likely to see an Akai APC-40 MIDI controller hooked up to a laptop that is running Ableton Live, rather than a recent version of the classic MPC that put the company on the map. The market is flooded with MIDI controllers from all the original electronic instrument manufacturers, plus some relative newbies like Livid, Native Instruments, and Pulse, not to mention iPad/tablet-based software that provides even lower cost access to people looking to get into production. Equipment costs and other barriers to entry continue to fall, inviting more people to experiment with making their own music. At the end of “The Art of Noise,” Luigi Russolo sums up his thoughts on the future of music with eight conclusions. “We must replace the limited variety of timbres of orchestral instruments by the infinite variety of timbres of noises obtained through special mechanisms,” he writes in one of them. Reading Russolo’s words a century after he wrote them, one can only be astounded how prescient his thoughts on music turned out to be. Although Russolo had never seen a tape machine—let alone a sampler or drum machine—he clearly foresaw the role new technologies would play in enabling future music. Milestones in history are defined by three things: war, invention, and art. Ours is the age of digital information as art, realized through ever more inventive interfaces used by artists fighting virtual wars for your ever more precious time. Despite their replacement with Digital Audio Workstations, the fact remains some three decades on, the classic drum machine sounds and sequencing techniques continue to inform music production. The once-alien sounds now ingrained in the collective consciousness remind people where electronic music came from without limiting where it can go. Because that 808 kick still hits.